As of 1st Jan 2014 this is a bit out of date. The form has been simplified and the referee forms removed. We'll update this as soon as we can. Applying for an FAC is a fairly straightforward procedure and if you have a good cause to have one then there are few reason why it won't be granted. The first requirement is good cause. This can be either target shooting or hunting/vermin control or both. You first need to be a member of a home office approved club. The NSRA has a club finder to help you find somewhere local to you. Membership of the club requires a probationary period of typically 3-6 months where you have to attend on a regular basis and undergo training. You will not be able to apply for your FAC before you are a member, but you can start to get the paperwork together. You will need either your own land or permission to shoot on someone else's land and will need a letter from them showing you are allowed to shoot there. You will also need to check that the land is suitable to shoot the calibres you require and if not then get the police to approve it (or not!). You can get the relevant forms either from your local police station or from you local police authority's website. When getting it from a police station then ensure you have not only the form but also the referees documents. The main application form from the Metropolitan police can be downloaded here. I think it is the same for all authorities, but you are better getting it from your local force. READ THROUGH THE NOTES ON PAGE 4 BEFORE YOU START FILLING IT IN. The form comes with guidelines printed on it, but here are mine from my own personal experience. I've marked the numbers to match the boxes (at least on the Met form!). First make sure you tick “the grant of a firearms certificate”. 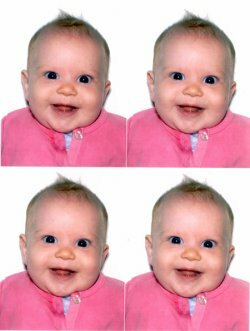 This is all fairly simple and typical for any loan or passport application. (14) It is important you put down ALL offences including motoring or even those that occurred abroad. If you do not remember the date then put down “around 19xx”, but put it down. Its as much a matter of trust to ensure you aren't the type of person who hides things, as being the police they have all this information anyway! (15 a/b/c) put down all the details. If you are worried then talk to your GP. Again its important to not hide anything that might come out later. (19/20/21) details the rifles you want to buy along with ammunition you wish to buy and hold. This can be one of the most difficult areas to decide what you want. If for target then put down the calibres you want to shoot the disciplines at your club. Talk to people at your club to see what they have on their FACs. Remember your FAC will last 5 years so you have time to purchase several rifles. 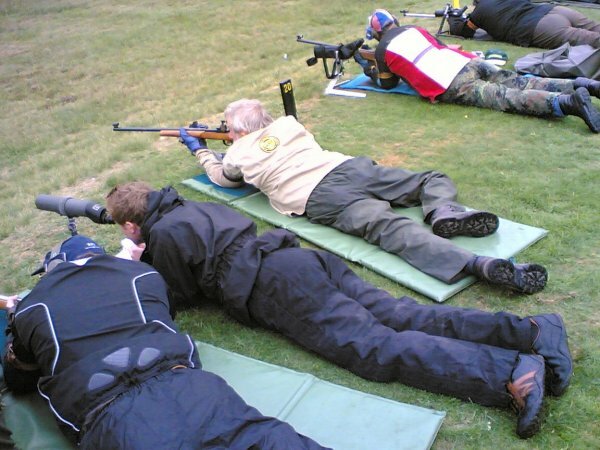 Smallbore target disciplines are usually .22LR rimfire, but remember you might want more than one rifle to shoot different disciplines such as prone, Light Sporting Rifle and one for rapid fire. If you shoot fullbore too then the most common calibres to put down a 7.62/.308 (as the rifle you get might be one of these similar calibres) for target rifle and .223/5.56 for the practical rifle. If you shoot carbines then decide if you want .357/.38 special, .44 magnum, .45 colt or one many calibres used for this discipline. And don't forget a nice SMLE in .303 too. The type will be rifle (you don't have to put down the action) unless you are getting a muzzle loader or long barrelled pistol, reason will be target shooting and the location will be your local club address with the contact name and number for your secretary. If putting down several rifles then group the contact details into one. If you run out of space then attach a separate sheet and a note to say its continued. For .22LR you will get through a lot of ammo and most shops give discounts for purchases of 1000 units. Therefore ask for something like 1000 to buy and 1500 to hold (so you aren't down to you last few rounds before buying the next batch). Fullbore is normally considerably less, though .223/5.56 practical rifle and carbine shooting can get through a few! I would suggest asking for something like 200 to hold, 100 to buy for Target Rifle and 600 to hold, 500 to buy for disciplines that require more rounds. You FEO will discuss this are with you when they visit. Hollow point (Section 5 hunting rounds) will not be available if you only shoot targets. You can still get some hollow point target rounds (such as Sierra Match King) but these are unsuitable for hunting. Plus if you don't have hunting conditions on your FAC then you won't be hunting anyway. The calibres allowed will depend on your chosen quarry. For rabbits its likely to be either a >12ft/lbs air rifle or a rimfire round such as the .22LR or 17HMR. Some authorities will only allow one of the calibres for your first application. Its up to you to justify what you are asking for, so if for example the ground you have is subject to ricochets with .22LR then .17HMR might be a better option. Most forces will only allow .22 for fox (such as .22 hornet, .222 or .223) and .243 for deer (though some smaller species can now be shot with .222/.223) and they frown upon allowing .243 for fox. Larger than .243 (such as .308 or 7mm) might be allowed for deer or boar but I'd expect most forces would be nervous about giving you one of these on your first application. You will need hollow point/expanding rounds for hunting and this will be stated separately on the FAC. The number you will be allowed to buy will most likely be lower than target shooting. For rimfire look at 500 to buy, 600 to hold and centrefire is likely to be 100 to buy and 150 to hold. If you are getting an >12ft/lbs air rifle then you do not need to put down ammo as its not a restricted item. If hunting then you will need to put down a moderator. You will need one for each calibre (even if you end up sharing one across calibres its worth having individual slots just in case). 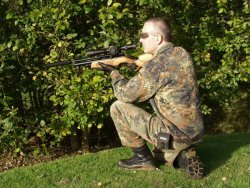 For target work then a moderator is still usefull to reduce noise (for health and safety reasons) or to reduce recoil (especially on a fullbore rifle). Some areas will refuse a moderator for target work, but I suggest you push for it stating health and safety reasons. 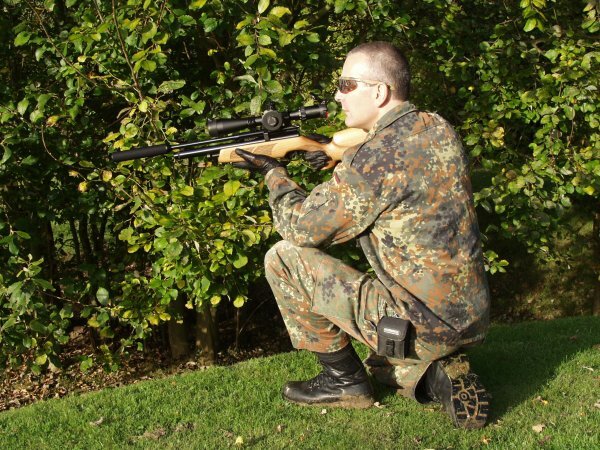 A moderator won't reduce accuracy, but it can certainly help as the flip and recoil reduces. Having a Deer Stalking Certificate Level 1 may be a requirement before they allow you to stalk deer. There is no legal requirement for this and if your FEO states this you might want to consider contacting one of the organisations such as BASC for advice. Some forces will insist you have a mentor depending on the area you live. It seems the more rural you are the less restrictions that will apply. If you don't have anyone who can mentor you then your FEO might know someone suitable who you can contact. There is nothing in the firearms law that says you need a mentor. (22) Enter your address if the guns & ammo will be stored at your house. There might be a reason why you are sharing your rifles with another person. In this instance they might also have to have an FAC with your rifles on it (and any rifles they have on yours). You might also have arrangements to store them at your gun club or range. 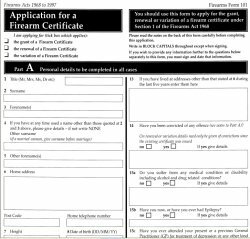 If you previously had a firearms certificate or shotgun certificate then enter the details here. (26) They also want to know if you have been turned down before or had a license revoked. As always, don't hide anything from them as they will know. A referee MUST have known you for two years. They can not be a relative. If you have shot with one or both of these people then its an advantage as they can answer the referee questions better, but its not essential. They can be someone from your gun club, but ONLY if they have known you for two years. Put in the details of the referees and get them to sign in the appropriate box when you give them the referee form. Don't forget to sign the form!!! Fill this in for your referee to save them the time. The rest of the forms should be filled in without you present and you should not see the form. You must not pay them to fill in the form. (15/16/17) Its important your referee puts in long answers and not just “nothing” or “none” or “no reason” as this doesn't give any information to your licensing authority. (18) This is a difficult one if they don't shoot with you, or even shoots themselves. Get your referee to sign and date the form and send directly to the licensing address. Its polite (and can speed things up) if you provide them with an envelope with the correct address and a stamp on. They shouldn't really give it back to you. 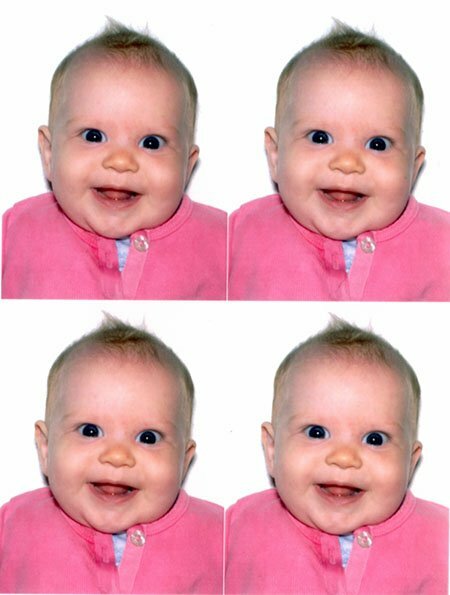 You will need four identical passport photos. Two that have been signed by your referees on the back (one each with the appropriate wording) and one signed by you with the last one blank on the back. At present the fee for your initial FAC is £50. A cheque / Postal Order must be included with the form and if you forget they are unlikely to remind you and might just bin the forms! Read, signed and dated the authorisation at Q16 and the declaration at Part F.
Referees have known you personally for at least the last 2 years and are not relatives. Referees have each been given Form 125 and the correct address to return it direct to us after they have completed it. 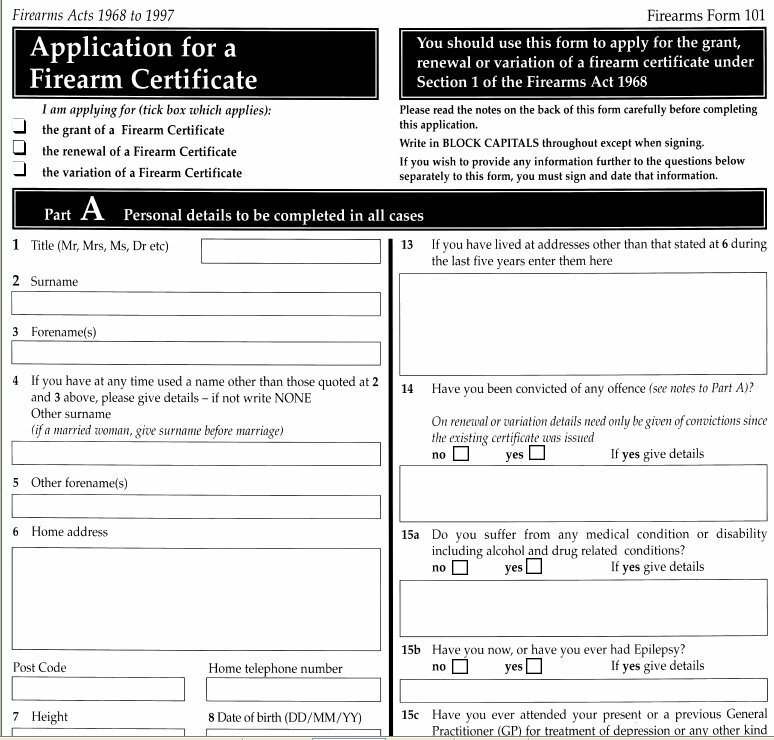 If ‘co-terminous’ application have you completed both Firearm and Shot Gun application forms? Post the form together with your four photographs and permission letters (if hunting), plus don't forget the cheque! I would advise sending it recorded delivery. This means you will have the correct postage for the weight and you can confirm its been delivered. Then sit back and wait. You will shortly be contacted by your FEO (Firearms Enquiry Officer) to arrange a visit to inspect your cabinet (or advise where it should be put) and discuss the firearms and ammo you have asked for. If you haven't heard from them in a month then its worth giving them a call just to confirm they have received it and see if they know when your visit is likely to be. You can also check to see if the cheque has been cleared as this confirms they have at least received it. Make sure its big enough for what you plan to get and a bit more for when the bug catches. If you are getting scoped rifles then make sure you get an extra deep version. It is also worth getting one a bit bigger than you require to ensure plenty of space between the rifles so you don't mark them. The cabinet must be mounted on the fabric of the building and not a partition wall or in an outbuilding or garage. If your walls are not solid brick then you might be able to use chemically bonded bolts to attach the cabinet. Mount the cabinet somewhere that isn't obviously visible such as a cupboard. Think about damp and condensation if mounting in an attic or cellar. If in any doubt then contact your FEO or wait till they visit. They will need to check its position and its secure before you get your FAC.